This article was originally published on The Dividend Pig, as part of the Financial Literacy Day campaign, in Why You Should Avoid Mutual Funds. Back in November, as part of the Financial Literacy Day campaign, I wrote about why you should start investing now. My point was to show how easily a nominal $25 per week invested, can grow into a sizable portfolio of over $17,168 in only ten years. For that figure I assumed a very conservative annual total return of only 5%! I also showed how Canadian investors can take advantage of four TD e-Series Index Funds to build a portfolio for only $100 per month, with a purchase of a fund each week at $25. I also showed readers why the TD e-Series funds are such a great deal! There are no commissions to purchase or sell, and the MER (Management Expense Ratio) is less than 0.33%. Unfortunately, these funds are not well known to most Canadians. It’s a different story for Canadian investors who purchase actively managed mutual funds, and who are paying a premium in fees and being rewarded with under-performance. Back in July 2011, I chopped through all the complexities of mutual funds, index funds, and ETFs (Exchange Traded Funds) in Would The Real “Fund” Please Stand Up!If you aren’t up on the terminology, nor understand the difference between index funds, ETFs, or mutual funds, then be sure to check out this post. It’s a back to basics post for any investor. Most people have a basic understanding of what Mutual Funds are, since they have invested in them at some point. A mutual fund is basically a pool of funds collected from many investors for the purpose of investing in securities such as stocks and bonds. Most mutual funds are actively managed, in other words an investment manager decides on the securities to purchase, and manages the portfolio. Most people start off with mutual funds, because it was what they know best through advertising, or by talking with their bank rep or directly through a mutual fund dealer. Mutual funds have long claimed to provide investors with professional management, above market performance, and a solid long-term investment strategy. Yet actively-managed mutual funds rarely deliver on any of these promises, and cost investors a small fortune in ongoing fees. First, mutual funds are expensive in terms of the fees and commissions they charge upfront. What most people don’t realize is that many financial advisors are not financial planners, they are mutual fund dealers. Many mutual fund dealers charge hefty front-end and back-end commissions. These are usually laid out as front-end, back-end, and deferred-sales-charges depending on the length of time the funds are held. Here in Canada, these fees can vary anywhere from 2% to 6% of your capital, and are paid directly to the mutual fund company and dealer. That’s money out of your pocket! Second, mutual funds are also expensive with the hidden fees that are not so obvious to investors. These fees are termed the MER (Management Expense Ratio), which also includes the Trailer Fee. In Canada, mutual fund fees are much higher than they are in the U.S. and Canadian investors are simply getting burned. The Trailer Fee (which is part of the MER) is paid directly to the broker as a kick-back for selling the fund. Additionally trailer fees are also paid as an ongoing benefit to mutual fund dealers, depending on the value of a fund’s holding across the dealer’s client base. These are a small percentage, nonetheless add up over time. Essentially, the longer you hold your mutual fund, the more trailer fees you are paying to your advisor. The MER, called the Management Expense Ratio, is an annual and ongoing fee that is charged from the fund’s income and profits. It pays for the fund’s management and administration, trailer fees, and also includes all the costs of marketing and promotion for the fund. According to an article in the Globe and Mail back in March 2011 by Rob Carrick, The average Canadian equity mutual fund had a whopping annual MER of 2.43%! 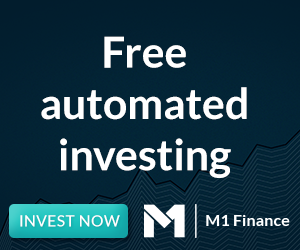 When you combine the MER with the included trailer fee, the average Canadian investor is likely paying around 2.5% to 3.0% annual fees to own a mutual fund. These fees are paid on top of any other front-end or back-end commissions. These fees are paid regardless how well or how poorly the fund performs. The real irony is that investors pay all these fees, compounding year after year, whether the fund does well or performs poorly. While mutual funds are a win for the companies who manage them and the brokers who sell them, most Canadian investors are paying a premium for under-performance. According to the 2011 ETF Landscape Review, only 15.1% of actively managed mutual funds in the Canadian Equity category were able to outperform the S&P/TSX Composite Index according to S&P. Further study would be warranted to see how many of those funds were able to continue beating the benchmarks. When you consider the large annual MER fees, trailer fees, front-end or back-end commissions mutual fund companies charge, there is simply no excuse for paying for under-performance. 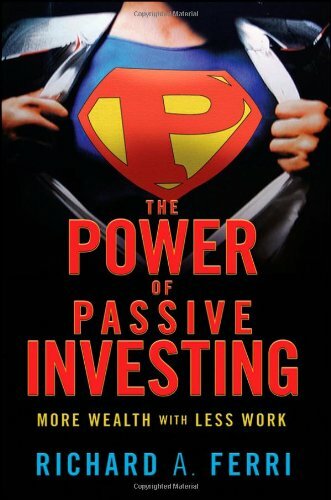 A great book covering the overwhelming evidence from the under-performance delivered by U.S. mutual funds, is Rick Ferri’s new book, [easyazon-link asin=”0470592206″]The Power of Passive Investing[/easyazon-link]. In his post for Financial Literacy Day, Avrex Money dove into the issue of under-performance and the high fees associated with actively managed mutual funds. One of my favourite bloggers, MoneyCone, also examined the under-performance issue of U.S. mutual funds in The Fund That Beat The Market 9 Times Since 1999. Award winning author Andrew Hallam, also covered the pitfalls of the mutual fund industry in depth, in his bestselling book [easyazon-link asin=”0470830069″]Millionaire Teacher[/easyazon-link]. According to his research, Canadians are at the last spot at 18 out of 18, paying the highest mutual fund fees in the entire world! (Millionaire Teacher, pg.54) Andrew quotes the fund fees that Canadians are paying around 3.0%, compared to U.S. mutual fund fees around 1.5%. I interviewed Andrew back in June 2011, before his book was officially published across North America, in The Millionaire Teacher. Readers, what’s your take? Are you still investing in actively-managed mutual funds? Have you considered the alternatives? hahahaha What the Fund?!? Love it! I think this post should be “Why you should avoid mutual funds” because I believe this spans outside of Canada as well. One clarification. Trailer fees aren’t paid out on top of MER’s. MER’s are inclusive of all the ongoing fees associated with running the fund including the trailer’s to the dealer. They are also posted on almost all the literature associated with the fund. The 2.43% would be inclusive of this. MER’s in Canada are higher than the states for the same reason cell phones contracts are higher. The market is exponentially larger in the States. While there is no question Canada has to get these fees down it’s not quite a fair comparison. (1) Trailer Fees come out of an investor’s pocket to compensate dealers. (2) MERs are indeed posted in the financial material. Unfortunately the vast majority of people have no idea what they are, or that there are less costly index fund, and index ETF options available to them. (i.e. TD eSeries and various iShares products). (3) Larger market or not, Canadians have the highest fund fees in the world, out of 18 comparable countries. The only possible explanation I can think of is becuase they are allowed to, not because of popluation. I sat down with my sister inlaw and pointed this out to her, showed her the yield on TD Bank, I think, then the MER on her MF and then the math. Who made the money. Anyways eventually she did go to the bank and the reaction of the person across from her showed that very few people ask about this. 20 mins of searching she manged to find some cheaper funds, not the cheapest but better. I also did some checking and TD offers some 20 different fund families most of the expensive variety. There is no use just investing in other mutual funds with lower MERs if the performance isn’t there to warrant it. 😉 Also remember the annual return of a mutual fund, is already including the MER. Great article, I loved the way you showed how 25 bucks a week can compound. Rob, yes it makes much more sense to buy the banks directly instead of invesitng in their products! However, it’s really hard to avoid mutual funds … My company plan is based on mutual funds so I can’t avoid it unless I want to say no to my company 50%-100% matching contribution. Most company with a plan will be associated with a company that sells mutual funds to provide such plans. More companies are going to be like that for the pensions at private companies. Albeit they advertise lower fees as managed by the plan. As such, I go with index funds (which are still Mutual Funds technically speaking) for that account but I am completely out of mutual funds (including index funds) for my other accounts as of October 2012. Note that when the plan was first provided, there were no options for index funds. I had to invest for 5 years without it. Now it does, and I transferred everything in the index funds. Hi PIE! Yes, this is going to be a common problem with many people who have Defined Contribution Plans, and will be forced to invest in specific mutual fund companies as part of that plan. What are the index funds you had to invest in with your plan, and what are the MERs like? Good post – to bring more awareness to this issue! I was recently reading the new book about Warren Buffett titled Tap Dancing to Work. In it there is an article written by Warren Buffett where he discusses how fees affect investors. We invest in business and that businesses growth should effectively give us our return at roughly the same rate. However, because we frequently turn to experts to help us invest they are taking their share so we in effect actually earn lower returns than the companies we own. And the more layers you add to the equation the more “experts” are getting thier hands on our pie. Frequently mutual funds are purchased through a financial advisor who takes his piece, then the fund manager will take his fees and the broker who the manager is trading with will take his portion as well. This is why I like to invest directly in individual stocks through a cheap online brokerage. It is the best way to keep these transactional costs to a minimum. Wow, all comments agree with you. That’s like a presidential vote going 90% or more to one candidate…I know two funds that routinely and safely best an index ETF….sure the fees are low….they should be, no mngt whatsoever. Just hate the performance when I can easily find dividend oriented funds that do better….if Wayne Gretzky was running a fund and charging 5% and net of MER’s it outperformed an index ETF I’d be all over it. I guess I’m just saying some funds do outperform, safely, somewhat regularly….why paint all with same brush? There will always be funds that beat the market, that’s a given. The problem is only 10% of 15% of actively managed mutual funds actually beat the market in any given year (as per iShares ETF Landscape review). The likelihood that a fund will continue to outperform the market year after year is even more unlikely. WHo can possibly know which one will win? The odds that an investor will be able to pick the winning funds ahead of time, and get market returns is slim to none. Most investors (some 85% to 90%) will pick funds that underperform the market, and pay extra fees for the privelage. Given those odds I’d rather buy XIC or XIU, with a very low MER, than try to guess whch mutual fund might beat these index funds. So I’d rather play the market odds than try to bet on a mutual fund manager. Actually I just buy dividend stocks directly and own what the funds own without all the fees. A lot of investors pay these high mutual fund fees, because they have no financial education. And the people that “sell” these products have created the impression that only the “investment professionals” know what they are doing. Most people saving for retirement are really confused and do not represent the audience of Dividend Ninja at all. I doubt this would change. As a result, I think the best investment is not in mutual funds/etfs, but in the company’s that sell them. Having recurring fees on an ever expanding asset base is the ultimate model for long-term dividend growth. I have setup 3 e-series and 1 i-series; I allow the bank to withdraw 100.00 a month for all four, but I want to take 5K and split between the 3 e-series, is this a good idea? My financial advisor is with BMO Nesbitt Burns…..and for the most part every fund or stock they’ve recommended has been dogs. Every fund/stock I’ve told them I wanted has done fairly well – and all that based on nothing more than a certain familiarity with some companies that I’m comfortable with and a gut feeling. I know this is a pretty old article, so i wanted to ask Mr Dividend Ninja if this is still relevant in 2015. Should i be investing in TD e series funds instead of mutual funds? What about places like Manulife which have low fees for mutual funds? I’m also interested in seeing the answer for 2015 investors! The answer is the same. Different year, but same issue – nothing has changed here. Great article. I work in the finance industry and see firsthand everyday how many investors are caught in mutual funds that charge them upwards of 2% a year to underperform, or just match, the indices. One thing I would like to point out however, is that a person needs to makes sure they’ve really done their research not just into the stocks/etfs/funds they buy, but into asset allocation theory as well. I often come across investors who avoid mutual funds because of the high fees, but put all their money into one corner of the market. Here in Alberta, a big problem is investors sticking all their money into oil company stock. They feel diversified because they own 30 different stocks, but single global events (like low oil prices here in mid 2015) can rock their entire portfolio. I agree 100% with what the Dividend Ninja is saying, but I’d like to add that an investor needs to understand big picture investing, and not just focus on companies that are performing well in their field. The suggested reading in this article is a great place to start! Great article, thanks for making this type of information available. I’m a believer in the idea that mutual funds are often set up to make sure the managers are getting paid and that blindly investing in funds without a clear understanding of what you’re doing and what you’re paying is a bad idea. The transaction costs are now so low at brokers like IB that individuals can replicate these funds and save the ridiculous fees that we Canadians pay. However, I want to ask you this – is it not true that historically, the best year-over-year returns have been created by a very small elite group of money managers? Yes, I’m thinking of Berkshire Hathaway. Would you agree that there’s value in trying to seek out individuals who you feel are capable of beating the markets over the long term and then investing in the vehicle they’re fronting, even if there’s an MER involved? Any comments would be appreciated.